I started day 2 by having breakfast in our hotel with the team, overlooking Canary Wharf – pretty cool, considering it was typically grey day. We headed into the event space, ready for another day of networking, learning… and eating! Not quite full after breakfast, I opted for some fresh doughnuts from the Hitachi Capital (UK) stand (they were so good – they made our Top 10 things to do at Live list). After a successful workshop on day one at Retail Week Live, I was really looking forward to my Track 2 session on day two. Joined by the legend that is Steve Oliver, CEO of musicMagpie, we were set to discuss whether re-commerce is the future of retail. Before we do an event like this, I always have a chat with the panelist beforehand to see if there’s anything they’d like to avoid talking about (usually it’s company financials or results speculation). 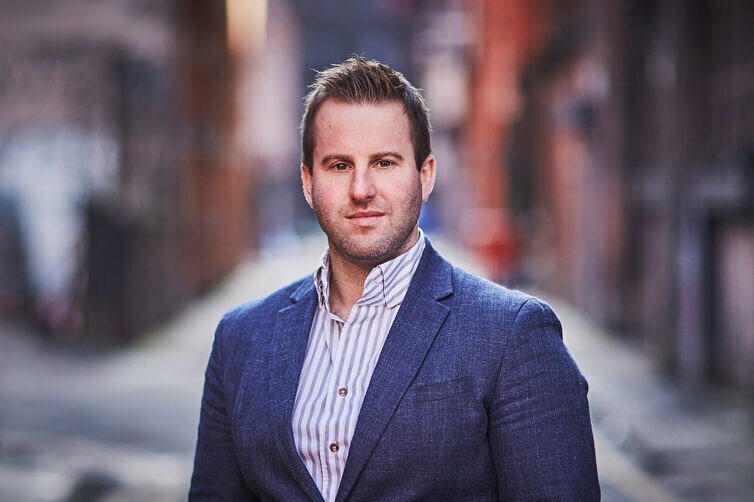 In the pre-RWL conversations, Steve made it clear he was willing to give a very honest insight into his journey – both business and personal. Of course, he had a number of amusing anecdotes he was willing to share and lots of honest opinions and advice too, which is refreshing. I don’t know why I was surprised. I’ve known Steve for a while now, and his ability to make anyone feel like a friend is enviable. I think we all know what musicMagpie do but, when we kicked the session off on the day, I asked Steve to give the audience a little more background on the business that he co-founded. 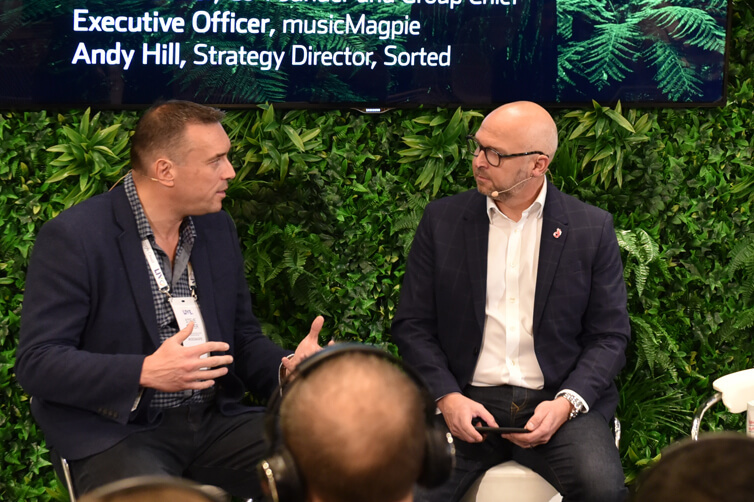 MusicMagpie started life as a service that enabled users to trade in their old CDs, DVDs and games but, 3 years since then, the company has reinvented itself to become the UK’s biggest mobile phone recycler – with half the turnover now coming from this category. It’s easy to see that retail models these days are very much centred around the rate of consumption, in relation to the rate of disposal. For lots of retailers, customer purchases are reliant on the need for more brand-new stuff (particularly in trend-related high-turnover industries like fashion, beauty and media). But customers are strapped for cash and more environmentally conscious than ever. So, my first question, put plainly, was: is the sharing and recommerce economy a threat to traditional retail? Steve was clear that he doesn’t see the two categories as a direct threat to each other. Instead he told us the key thing all retailers should focus on when growing a successful business: what they can do for their customers and how to keep engaged with them. He explained that if musicMagpie were to compete with traditional retail, their competitive advantage should be in their customer engagement – not only in checkout, but post checkout. Throughout the session, Steve referred to musicMagpie as, “the lazy man’s eBay”. He explained that in recommerce, when it comes to shoving a £300 iPhone in a plastic bag and into the post, “People have to trust us. So, to build that trust, we offer a fixed valuation, logistics and tracking – as well as always offering £1 more than anyone else”. So, just like traditional retail, musicMagpie’s C2B2C model aims to add value throughout the whole customer journey. When it came to musicMagpie’s re-commerce competition, Steve also highlighted that, “If you sell on eBay and Amazon, you live and die by your feedback score.” Now, dealing with feedback may not be exclusive to re-commerce, but Steve stressed that his company have a wealth of loyal customers behind them – being the biggest global seller on eBay and Amazon. So just how did musicMagpie achieve this and, for onlooking retail brands, what’s to be learned from their growth? Steve explained that the average person changes their handset every 3 years. If that person has been a musicMagpie customer, it’s a case of getting them to come back and use the service, once it’s time for a new handset again – “it’s what we can do with customers that have used us”. MusicMagpie offer a referral scheme that gives the customer a free £5 every time they refer a friend. I really got the impression that Steve thinks word of mouth, or a personal reference, is tremendously powerful. Whereas, in a similar sense, this is almost becoming a setback for traditional retail. With the rise of social media, brands are having to respond to and deal with ‘word of mouth’ feedback when their products are openly slated online. 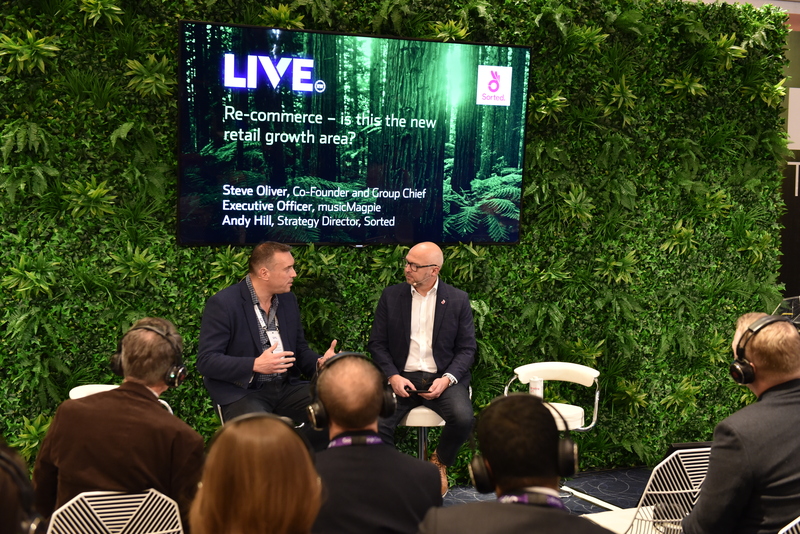 A lot of talk at Live had been about re-engineering retail and making decisions now that will enable speedy growth in the coming battles. I wanted to know what tech has been the saving grace for enabling musicMagpie growth, and what tech Steve could see the company needing for the future. He didn’t hesitate on this one. Mobile apps. Steve’s thoughts are that, “Apps are always important. 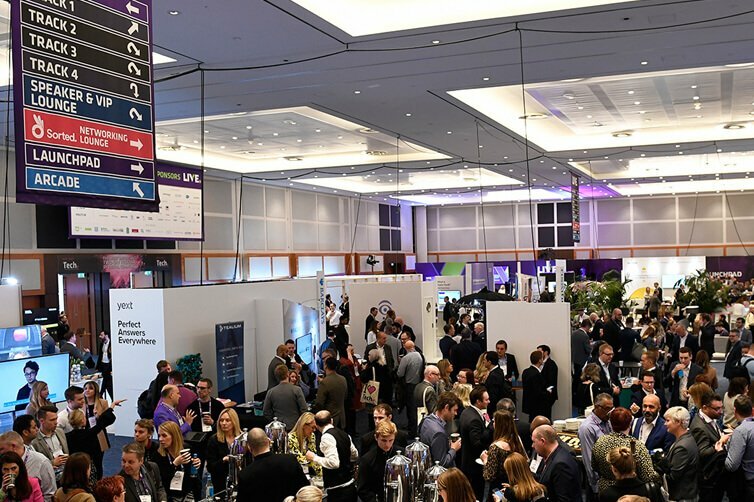 Our mobile web visitors are massively important to invest in, probably even more so than desktop.” This is something I heard a lot from retailers throughout the event. It’s interesting, but not overly surprising, to find that for consumers, online mobile research and path to purchase is now at over 80%. But in terms of growth, Steve gave us a sweet little anecdote, “When you’re growing a business and it’s scaling, you don’t notice it growing. It’s just like my daughter, one day it just dawned on me that she wasn’t a little girl anymore.” And Steve puts this growth (musicMagpie’s anyway – I’m not so sure about his daughter) down to getting smart people at the right time, with expertise in every aspect of the business – logistics, marketing, tech – you name it. 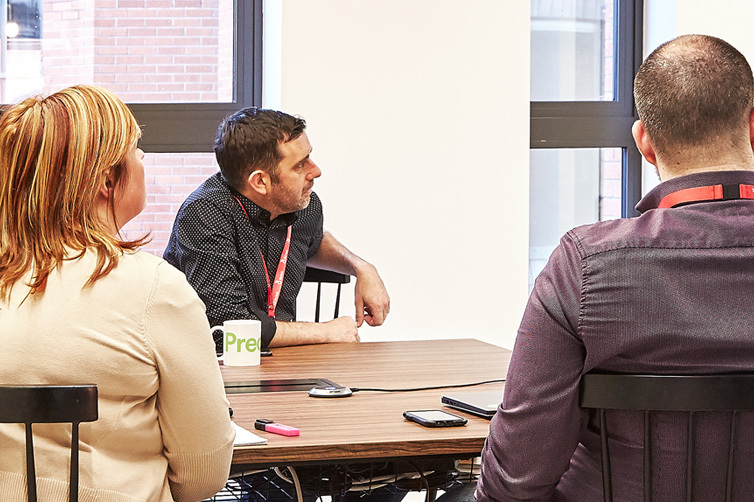 It was really interesting to hear the thoughts from Steve, as a man who built a business from his garage in Stockport, that has grown to achieve a turnover of £125m in just it's 10th year of trading. So, what I can take from this session, is that re-commerce and traditional retail may not be in direct competition when it comes to product offerings and the overall nature of their business. However, that doesn’t mean they don’t come to face the same challenges in terms of customer engagement and loyalty. I think both industries are realising the importance of their customer’s needs, not just at the point of purchase. Steve mentioned offering free logistics and tracking, as well as a referral scheme – great post purchase benefits that put the customer in control and keeps them coming back. Well, it’s either that, or the new iPhone has just come out and it’s time to sell the old one!